Sealed Products There are 91 products. **PREORDER**Release Date (ETA): 03 May 2019 Language: Japanese Contains 15 Random Cards from the War of the Spark Set. PLEASE NOTEPlease note that the pricing for these products are an estimation and will only be confirmed closer to the release date. A 50% deposit is required to secure your preorder/back order within 7 days of the order being placed. 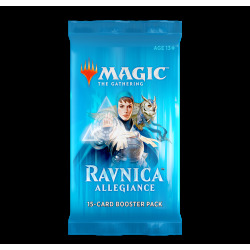 Release Date: 25 January 2019 Contains 15 Random Cards from the Ravnica Allegiance Set. 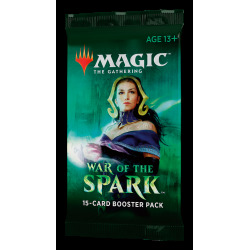 **PREORDER**Release Date (ETA): 03 May 2019 Contains 15 Random Cards from the War of the Spark Set. PLEASE NOTEPlease note that the pricing for these products are an estimation and will only be confirmed closer to the release date. A 50% deposit is required to secure your preorder/back order within 7 days of the order being placed. 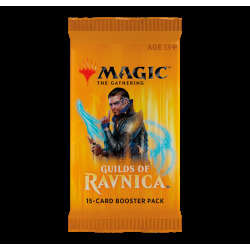 Release Date (ETA): 05 October 2018 Contains 15 Random Cards from the Guilds of Ravnica Set. Contains 3 Relic Tokens per booster pack. Release Date: 25 January 2019 Contains 35 randomized cards from Ravnica Allengiance, based on the Gruul (red/green) Guild. Release Date: 25 January 2019 Contains 35 randomized cards from Ravnica Allengiance, based on the Azorius (white/blue) Guild.